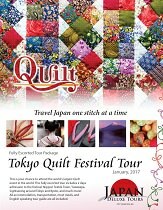 Perfect tour for a Sashiko Enthusiast! Best Experience on the Japan Tour: I cannot pick a best because the entire tour was so geared to textile which was wonderful! This was my first trip to Japan and being not only a quilter but also a sashiko enthusiast and teacher I enjoyed every minute of the tour. Thank you for planning such a remarkable textile tour for us! We went to may different styles of restaurants, gave the opportunity to try food from different styles. And I became pretty proficient with chopsticks!! I cannot say enough good about this wonderful guide. I would definitely recommend her. Can you tell how much I enjoyed this trip?Yes, yes so very good. Travel Japan one stitch at a time with this incredible fully escorted tour stopping at important areas relating to stitch art. 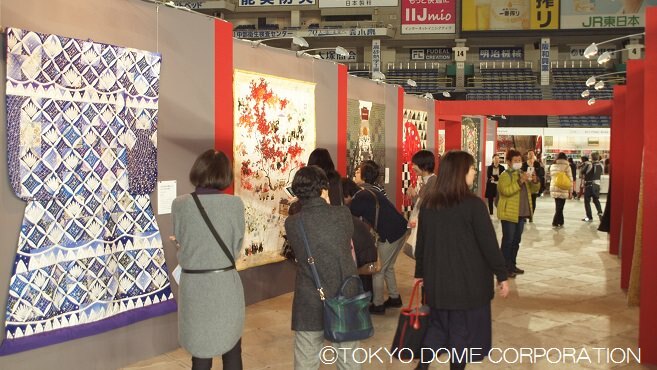 We will join the 17th annual Tokyo International Great Quilt Festival that is being held in Tokyo Dome.